In collaboration with James Law Cybertecture, OPOD Tube Housing - an interactive public display about micro-living, is being showcased on Design Boulevard at HKDI till 31 May 2018. The opening ceremony was held on 18 April 2018, followed by a guided tour led by Mr. James Law, JP and the founder of James Law Cybertecture, which was also a kick-off event of the collaborative project titled Social Design Engagement Project – Micro-/Co-living in Hong Kong to inspire HKDI students from the Department of Architecture, Interior and Product Design with new concepts and design solutions in resolving housing problems in Hong Kong. In the coming 1.5 months, our students will engage in a series of design activities including seminar, workshop and design forum with Mr. James Law JP to re-imagine and co-create future micro-living. 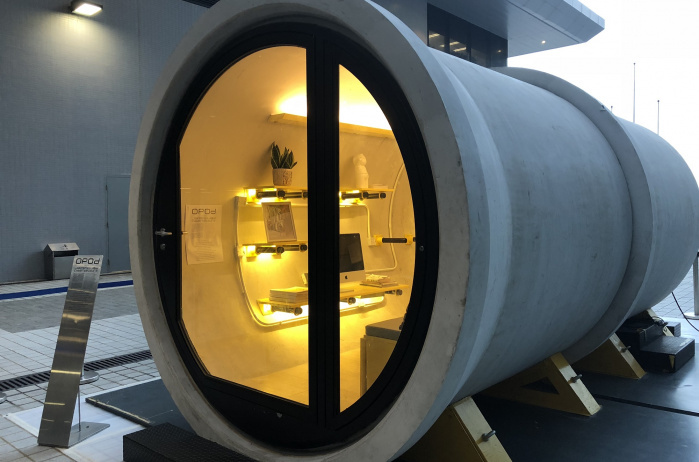 The display of OPOP Tube House is built from two 2.5m x 2.5m concrete tubes and designed as an example of intelligent building and mobile architecture. 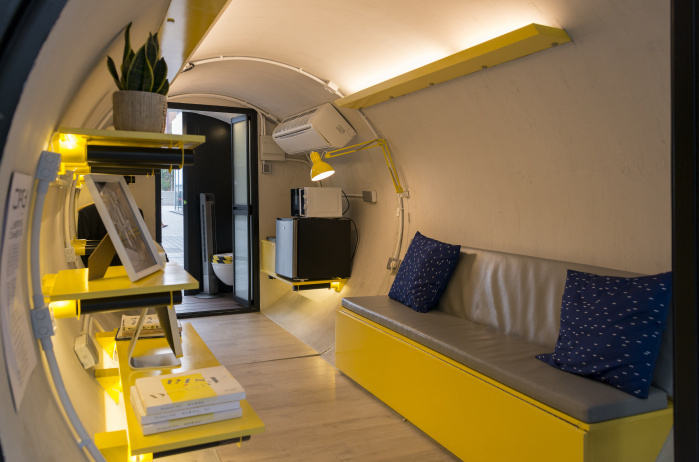 It not only serves as a demonstration of forward-thinking ideas of innovative designs in small living space, but also enriches the learning experience of our students since the exhibit allows them to immerse themselves in this architectural innovation. 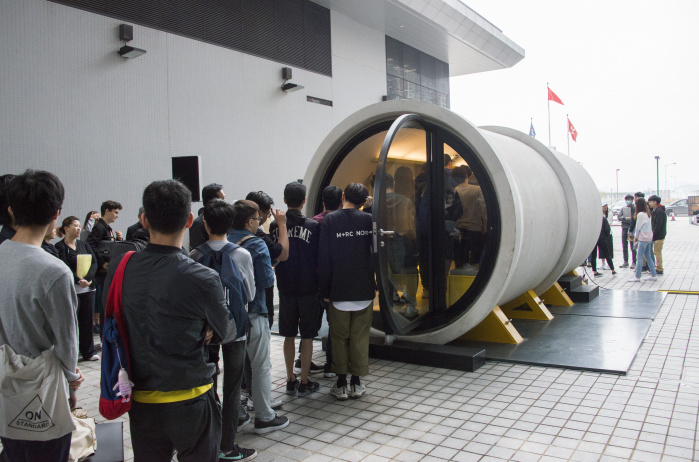 The public can get in the OPOD Tube House and experience the exciting re-imagination of micro-living space. © 2019 Hong Kong Design Institute. All rights reserved.